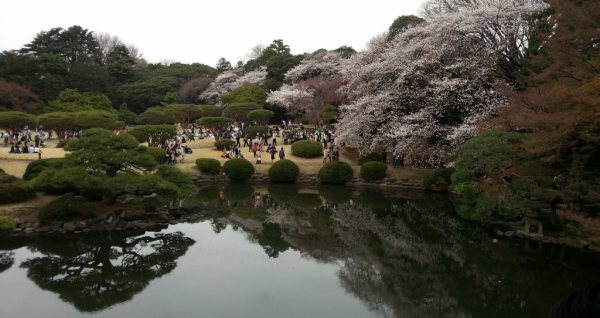 During Japanese “cherry blossom viewing”, people literally enjoy watching cherry blossoms. But they don’t spend so much time watching them. 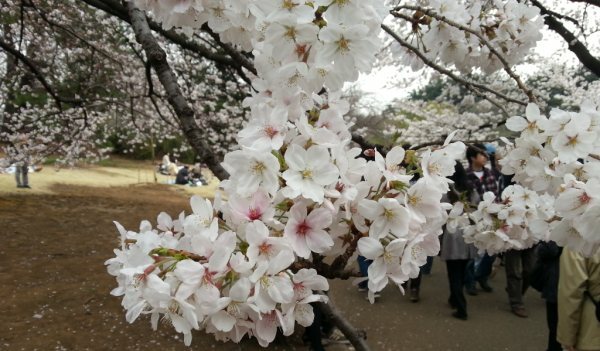 The main part of “cherry blossom viewing” is that people put a tarpaulin under a cherry tree, sit down and enjoy eating good food and drinking alcohol with friends, coworkers or family. Especially when Japanese salary men begin to get drunk, they forget cherry blossoms completely, this often turns into a normal drinking party. Cherry blossoms in daytime are of course beautiful, but when they are lightened up at night they have a mysterious beauty. Cherry blossom viewing with drinking is fun, however just taking a long look at cherry blossoms is also a nice thing.